After we all headed onto the moors at Easter with our new big sand tables to make bunnies, Florence wasn’t happy. She couldn’t reach the table! 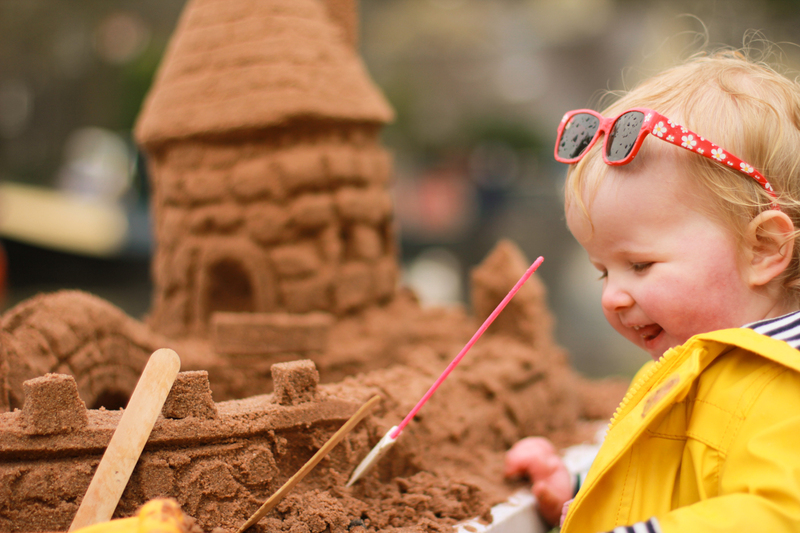 So as soon as Jamie’s back was turned, she popped on the internet to buy one her size. 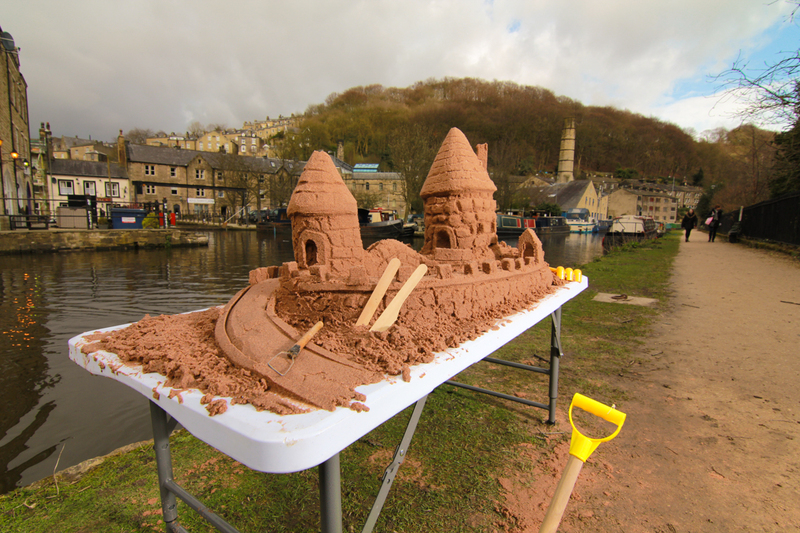 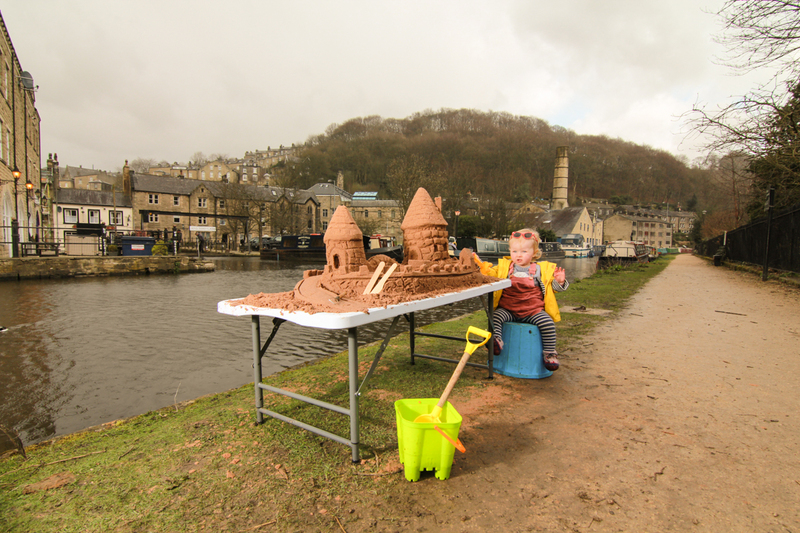 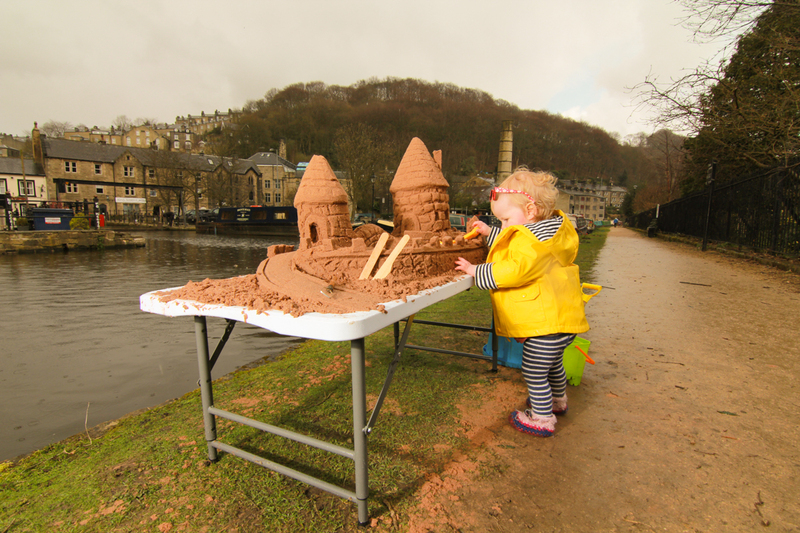 We all headed down to the canal to try it out and Florence showed us all how to make a sand castle as well as how to pose for the camera despite the wind and rain. 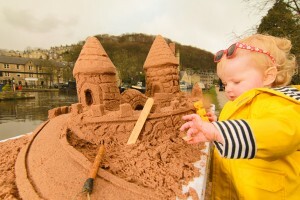 She’s obviously been watching mum and dad on the beach! 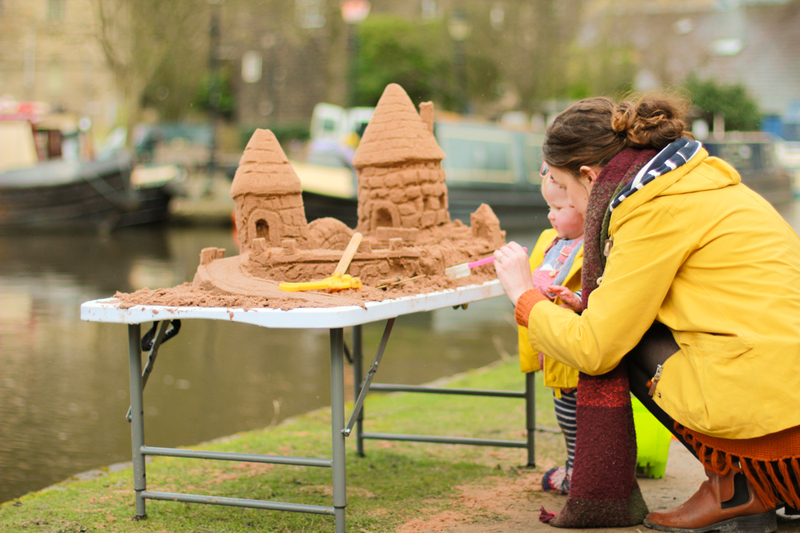 It is lovely to be able to have Florence’s table with our big table so everyone can join in our workshops anywhere and make their own sand masterpiece! 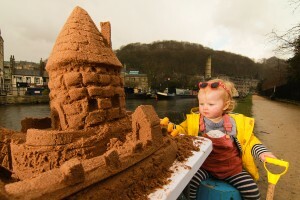 Florence Wardley, best new sculptor in the business! 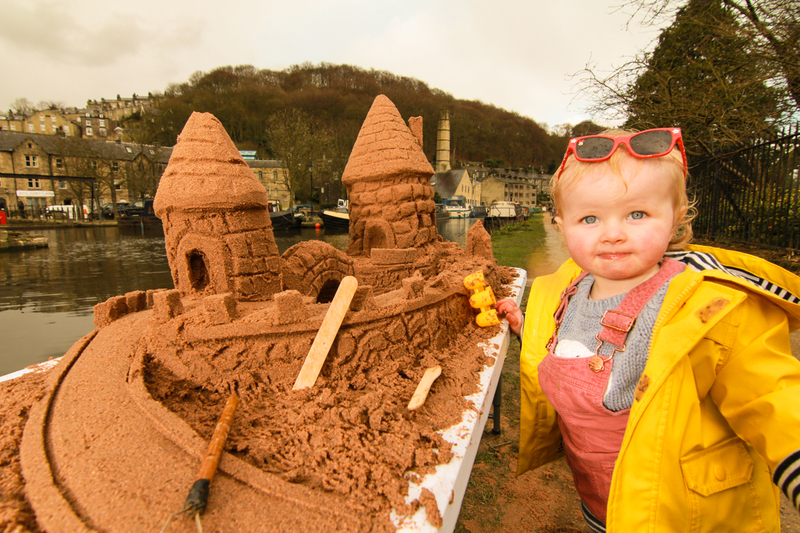 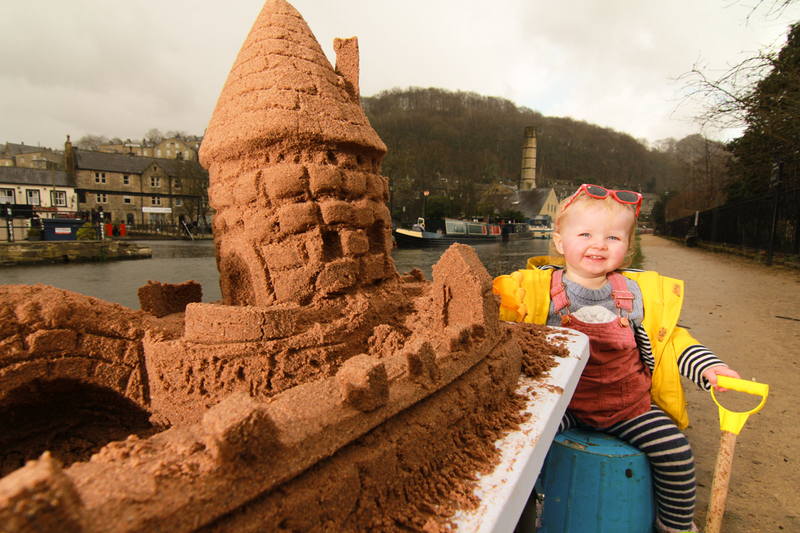 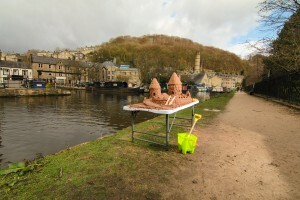 Florence, Yorkshire’s very own toddler sand sculptor! A lovely set of pics of Florence. 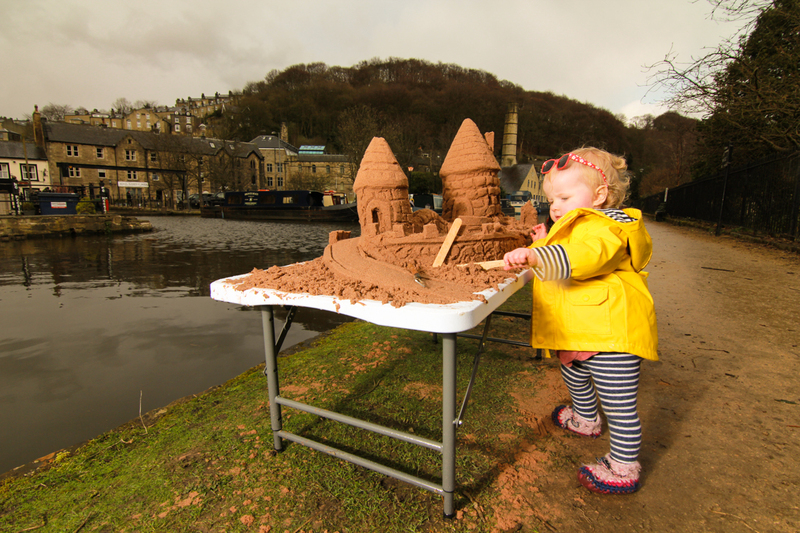 She’s starting young!